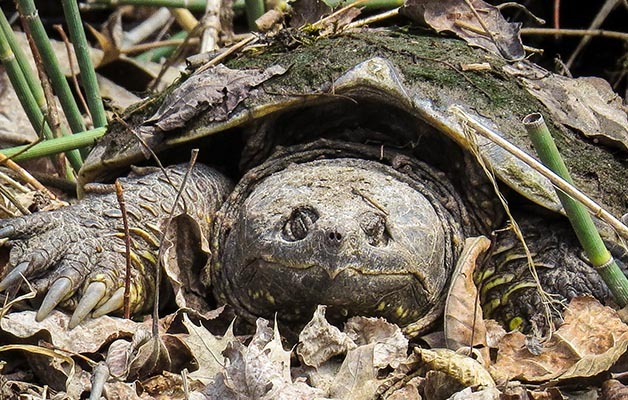 This year, we launched our updated Ontario Reptile and Amphibian Atlas app. 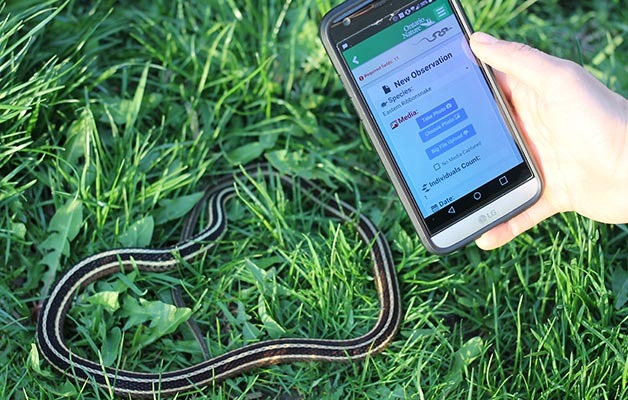 The app includes several new features, including a field guide for the 48 species of reptiles and amphibians found in Ontario. 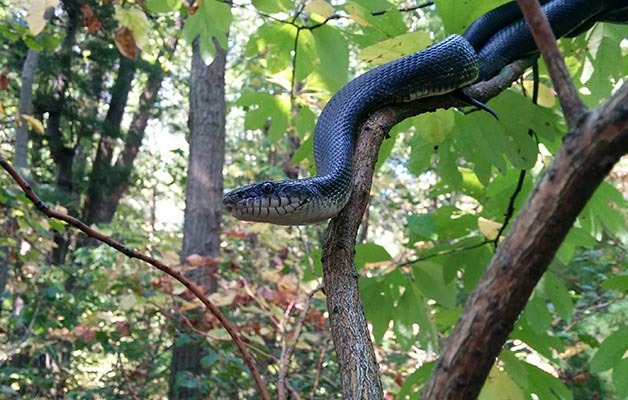 Around 7,000 reptile and amphibian sightings were submitted through the app in 2017. We conducted massassauga rattlesnake surveys on our Lyal Island Nature Reserve and ratsnake research in Norfolk County along with our partner Natural Resources Solutions Inc.
‘Hope,’ a female ratsnake discovered in Norfolk County by Ontario Nature field staff and partner Natural Resources Solutions Inc.
Our Boreal Program staff, based out of Thunder Bay, hit the road in a shiny green trailer loaded with outreach materials to promote the Ontario Reptile and Amphibian Atlas this summer. They delivered 23 workshops to educate and encourage people to submit their reptile and amphibian sightings through the atlas app. 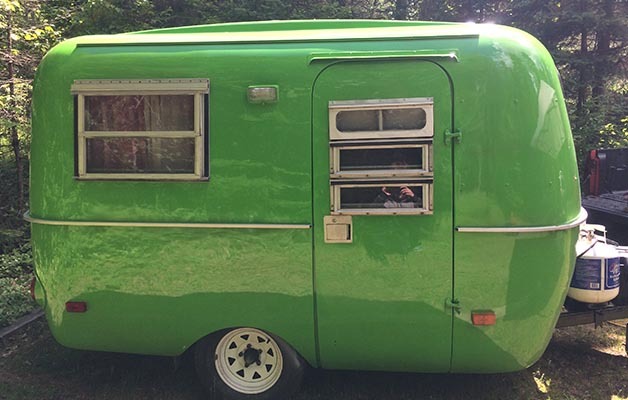 Ontario Nature’s Boreal staff hit the road in style in Thunder Bay to promote the atlas. 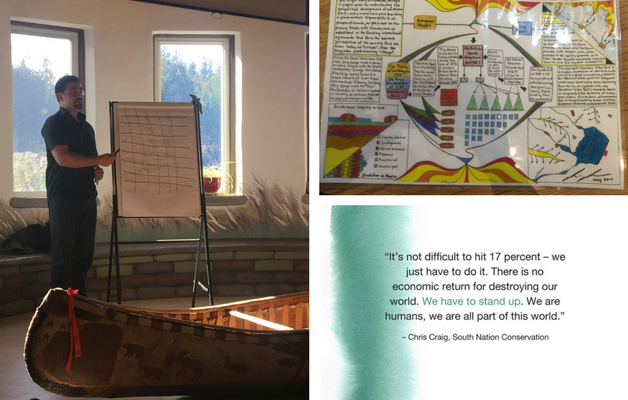 We worked with Indigenous partners to bring together members from 14 Indigenous communities and 19 environmental organizations to discuss opportunities to advance Indigenous protected areas and reconciliation. We worked with agricultural partners to help establish a new ALUS (Alternative Land Use Services) community in Middlesex County, bringing the total of Ontario ALUS communities to seven. 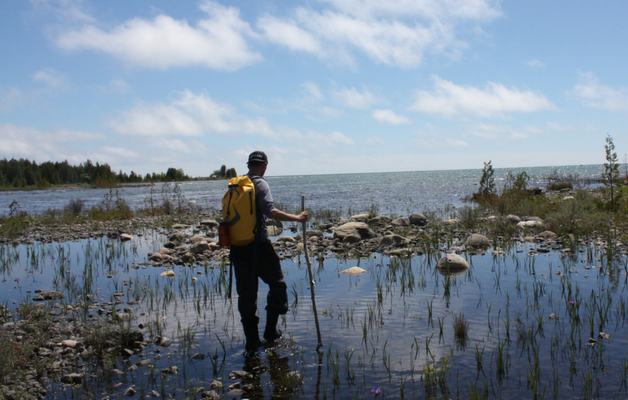 We led the call to strengthen Ontario’s Wetland Conservation Strategy, including strict protections for provincially significant wetlands. 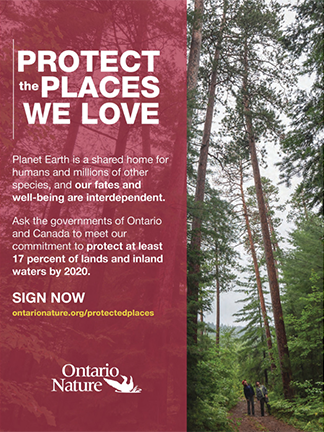 With the Oak Ridges Moraine partnership, we advocated for a robust regional natural heritage system for the Greater Golden Horseshoe and growing the Greenbelt. 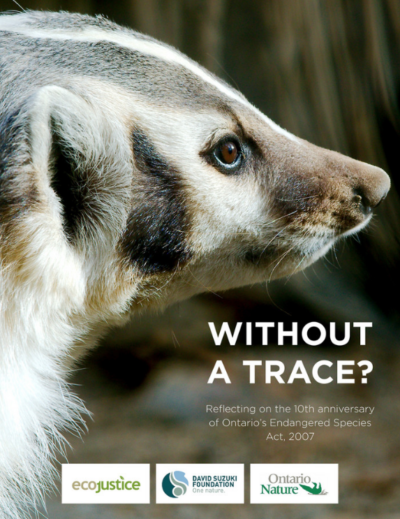 With the David Suzuki Foundation and Ecojustice, we released a hard-hitting report, Without a Trace, highlighting the provincial government’s failure to protect species at risk. 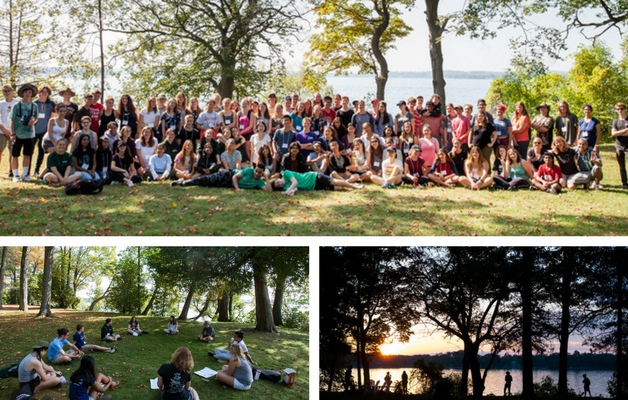 We held our eighth annual Youth Summit for Biodiversity and Environmental Leadership in collaboration with the Youth Council, which brought together 98 leaders from 51 communities across the province. With the help of our Youth Council, five municipalities and schools have made their commitment to protecting pollinators and habitat under the Bee City initiative. 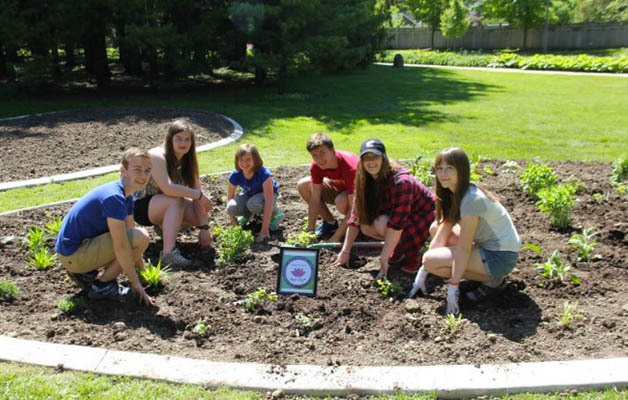 Youth Council members also held 10 pollinator planting events, planting over 2,700 pollinator-friendly native plants. And we’ve got a lot more planned for 2018! 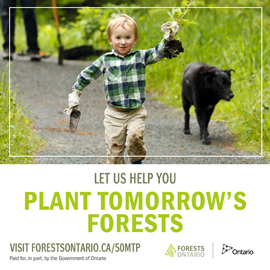 We will work with our partners to grow the Greenbelt to protect headwaters, moraines, wetlands and cold water streams throughout the GTA. 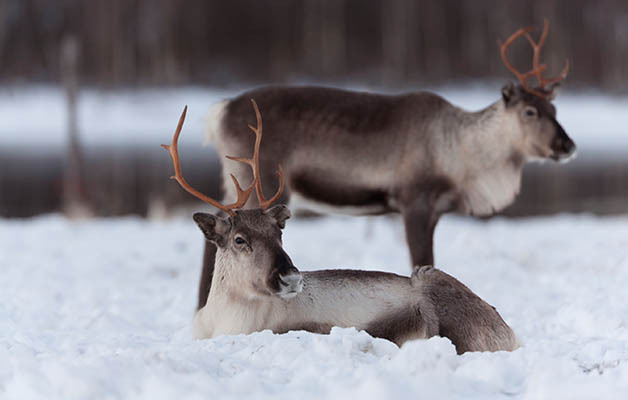 We will be joining forest industry, labour and Indigenous colleagues to launch the new Forest Stewardship Council National Standard, which will lead the way to support Indigenous Rights and caribou protection. We will continue to work with Indigenous partners, Nature Network member groups and other allies to meet commitments to protect at least 17 percent of our lands and inland waters, with the full and effective participation of Indigenous and local communities. 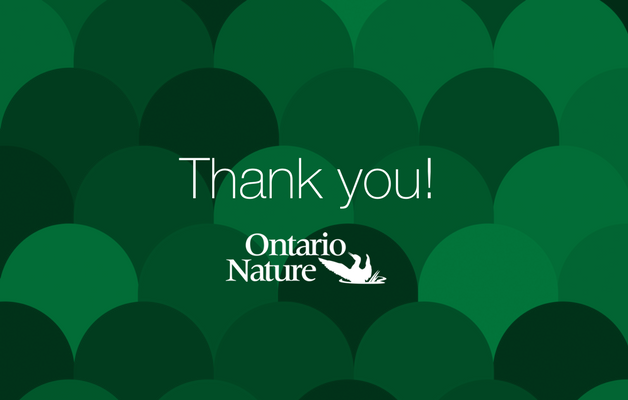 On behalf of all Ontario Nature staff, we want to thank you for standing with your fellow nature lovers in every corner of the province to protect Ontario‘s wild spaces and wild spaces. Please consider making a year-end gift this holiday season to support our work to protect wild species and wild spaces through 2018 and beyond.